Red is the color of love, and with Valentine’s Day coming up, we’re sure your feeds are going to be flooded with cute couples and an overwhelming amount of red. Red is a great color, it’s bold, powerful, and grabs your attention. 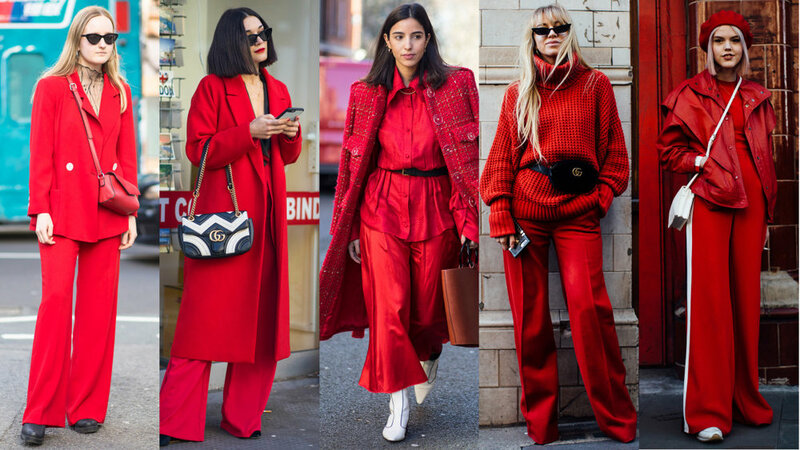 Sure, your classic red lip is cute and all, but if you want to step-up your outfit game this Valentine’s Day, we’re breaking down six non-cliche ways to wear the color of love on February 14th. Nothing says girl power more than a red jumpsuit. Let’s be real here, no one wants to wear a dress in negative degree weather, and this gives your look some movement and flow as a dress, but keeps you warm AF. An IT girl favorite and current trend, we are totally in love with berets. Why not spice up your Valentine’s Day look with one of these adorable hats. Shoes make the ultimate statement when it comes to creating a look, they could make or break the entire look. We think these heels are Purr-fect to wear this Valentine’s Day. A red bag is perfect for any occasion but make this holiday special with this adorable heart-shaped bag from Ted Baker. From workwear to a night on out with bae, a red blazer is an excellent addition to your collection. We are a huge fan of red blazers because they are perfect for adding that je ne sais quoi your outfit is missing. If you’re a bit timid when it comes to wearing red, try out a red eyeshadow look. It’s sure to turn heads in the best way.